Essential Virtual Elance – Let me "Sweat the Small Stuff "
Let me "Sweat the Small Stuff "
There are literally millions of people online in social media and the goal for success is to stand out. You want to be unique, to be remembered, to brand yourself and your business products or services. Therefore, the best way to stand out on social networks is to be authentic – because you’re the only one who can do that. There are some guidelines though. The following are simple, basic considerations to get you started. Don’t leave out any information for your profiles on social media. You don’t want each profile to be an exact replica, but you do want consistency. 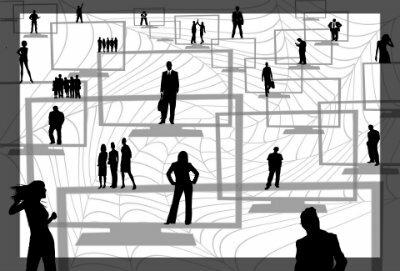 It is wise to take advantage of every single bit of space the social network allows in order to create a profile that stands out. The best way to stand out is to always keep your target audience in mind as you create your profile – about what you offer for them. Because yes, even when it’s about you, it’s really about your audience. It is important to use the same profile picture on all your social networking sites. It doesn’t have to be expensive however it is worth your investment to have a professional profile photo. A good idea is to have a photo-shoot four times a year. You would have images appropriate for each time of year ready to share with others. You can also create memes with the images if you get a variety of shots. Seek out affordable photography students who want to build their portfolio. Getting your hair styled and makeup done professionally is also a good idea. Wearing clothing that you feel confident in will produce an impressive portrait and represent who you are in your business. Online it can be easy to get carried away and go against your niche, but if you stay relevant and only share images and content that is interesting to your target audience you can’t go wrong. Whether you created the content or someone else did, it needs to be something your audience will benefit from and is familiar with before you share it. For example; If you are in the tool business you would probably not want to post a video on how to apply makeup. That’s a pretty drastic comparisn but it helps to follow this guideline. Okay, you don’t want to be offensive with controversy but you can speak up against trends, disagree with gurus and let people know what you really think about things without worrying about the world blowing up. The important thing is to be yourself and be true to who you are, and not to worry too much about what others think. Just be able to back up your ideas with facts. Sometimes controversy can create engagement from others. Social media popularity is most often based on the engagement of your audience. Engage in online conversations daily. Comment and ask questions for feedback. Don’t use every response as an excuse to talk about your offerings. Instead, make sure that your responses make sense based on the post, comments of others and your experience. Seek to help people instead of promoting your own brand or products. In everything you do, build a good reputation by always giving more than you get. When people learn from others about you via testimonials, or just comments about you on social media, it’s remembered. When you have an opinion about something that you can back up with facts (even if it’s contrary to what others say and do), as long as it fits in with the narrative that you want to accomplish with your audience, go for it. Be authentic and don’t be afraid to show your expertise on a topic in a helpful manner. You want to always be of service to others in everything you do. Re-tweet and share others social media content, provided it’s not your direct competition. When you’re online, everything you say and do lives forever. Even if you delete it, it’s there someplace for others to see and judge. Keep that in mind and always be a good resource by offering solutions that have helped you. Standing out online is easy to do if you simply start with being yourself. No one else can do you the way you do you. Don’t try to be fake and don’t try to be something you’re not. Don’t brag and don’t be silent. Add value to your reader. With practice you will find your comfort zone and the content type that your target audience responds to. Use the tips listed here merely as a starting point to where you, as an entrepreneur or startup small business owner can choose to take advantage of online social media opportunities. If you have any questions or wish to learn more about how a virtual assistant can help build or manage your social media please contact me. No matter what people think, the website is still your most important digital asset when it comes to digital marketing. In fact, as has been touted for years, your website is the center of your entire online marketing endeavor. Having a small business website gives prospective customer’s and website visitors unlimited access to finding information regarding your products and services. Everything you do should seek to send customers and visitors straight back to your website, and then on to an email list. So I’ve made a list of eight reasons to have a website for your small business, whether you are a startup business or an experienced entrepreneur. The main reason why your website is the most important is that you own it. If you have a self-hosted website (whether it’s built with WordPress platform or another builder), as long as it’s self-hosted on a server you rent, you can move it and use it how you want to without interference or worry from someone else telling you what to do. Even if you lose all social media accounts tomorrow, your website will still be there. It’s not likely, but any one social media account could have changed drastically when you wake up in the morning. It can go from free to paid, it can also change the rules, and so much more can happen. As an entrepreneur all the hard work and time you put into building up that social media network with content and engagement could disappear. It could be all for nothing tomorrow. You’re really expected to have a website today if you have any type of business. No matter how small. If you send new or existing customers to a Facebook or Twitter page instead, they will not view it in the same way as they do a real website that represents your business and only your business without distraction. You can use the website to direct customers to other media, but your website is first and foremost your storefront. Your storefront is available 24/7. Everything you put out there on the web, on social media, in brochures, your business card, books, games, apps, guest blog posts, bookmarks and other marketing collateral all lead right to your website because that will remain constant. Your website will always be your website. When you own something, you control it. You can update it, change it, move it, and do whatever you want with it. When you use builders like GoDaddy Website Builder or native builders that can’t be moved, you’re trapped in that space and rebuilding is harder to do. You can have as many features, email addresses, sales pages and more if you control it; and it’s not hard to manage. Your website design and content can serve as a “digital marketing and sales” magnet to attract new leads and customers to your online or home business. When you own your own website, you can brand it how you want to. You don’t have to leave any “built by” notes up, or notifications about your hosting company or anything. You own it; it carries your branding. It’s really that simple. A first impression is usually a lasting impression. If you don’t own your own website and use a builder or try to pass off a social media site as your destination, people will judge you. Potential clients need to know that you serious business owner and may decide not to work with you. Instead, create the best website you can within your budget and reap the benefits. 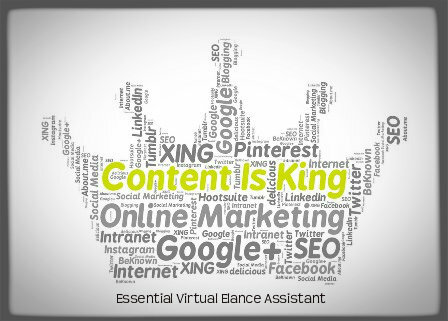 If you want to be a success at digital marketing, you have to accept the fact that content will always be king of marketing. In fact, a lot of the digital marketing tactics you see today have actually been practices for many generations – before digital was even a dream. From cave paintings to John Deer and even Jell-O, content marketing has been around for literally thousands of years. Anytime someone wanted to get the information out about anything, they could turn to content to help. Cookbooks are a great example of content marketing before the internet, because it’s something everyone can relate to. If a cookbook listed a particular brand of item in it, that’s what people would buy. Today, content marketing is extra important because it’s how you’ll entice visitors to your website. It’s also how you’ll teach people about the issues that are important to your audience, and hopefully turn them into a customer. Digital Search Content – All content is fodder for search engine traffic. Search engines use the information on your blogs, websites and social media to send your customers and viewers your way. They do this with the terms and keywords used in the content or in the “alt” descriptions. Social Media Content – Everything you put on social media is content. It doesn’t matter if it’s a meme, an image, words, a video or something else; it is considered content. When you realize all that content encompasses, you quickly realize that yes, it is very important. It’s not just a blog post or text; it’s everything. Blog writings need to go out on a regular basis to help your visitors find your website. Blog posts of 600-1000 words are most likely to show in search engines such as Google. You can also write original guest blog posts or comment on other business blogs sometimes to attract other audiences to your business. Be sure your comments add value though. I currently use WordPress.com. Content can be distributed via email in the form of newsletters on a regular basis to keep your subscribers engaged and active. Mailchimp or AWeber have free trails and are valuable resources for newsletter creation and email management. Today, you can create an online magazine to help with content marketing and keeping your audience engaged and informed. I subscribe to a great example called “Your Virtual Assistant Daily” via email. This is another way to put out information without having to type it. Instead you can record your thoughts and upload them to be listened to later. Podcasts are flexible and perfect for that simple easy way to stream a live video message from your Android or IOS device directly to your target customers. Some popular free apps are available in Google Play. YouTube is a great example of the power of video to get the word out about anything and teach others something that requires visuals. Social media and most web hosts are on board with sharing and posting YouTube content. These are long research documents that often compare and contrast the solutions to a problem discussed in depth. They are great for educating a wide audience without overtly advertising your business solution. Using books to build your expertise is a great way to teach an audience about something that requires a lot of information. Today, publishing is simple and free. You can create and post PowerPoint slides on LinkedIn SlideShare.net and use other presentation sharing sites as another way to keep your audience informed. It’s a format that helps you stand out from the competition. Most web hosts are coming on board to encourage and simplify posting your slide presentations. Growing in popularity due to their live nature and the way the audience can interact with the hosts for collaboration and information, webinars are a very effective form of content. Examples of online free trials and/or inexpensive webinar conferencing solutions are www.gotomeeting.ca, www.join.me and www.anymeeting.com. Most often used on social media, infographics and images are a great way to attract attention and help your customers understand important data visually. I use Canva to create various infographics. It’s simple and free. Whether it’s a diet app, a WordPress plugin or something else, creating a tool that your audience can use daily (even if it’s an old-fashioned calendar or checklist) provides the type of content that will remind the on-line public of your product or services. As you see, everything you do to market your business plus inform people about your business and interact with people is actually content. That’s why content is king. Content is the most important asset you own when it comes to digital marketing. Use the tips listed here merely as a starting point to where you as an entrepreneur or startup small business owner can choose to take advantage of online content marketing opportunities. You don’t need to be an expert for self promotion of your business using valuable content – unless you’d like to, of course. There are plenty of free online webinars and guides to assist you along the way. The links in this post are only suggested to provide resource ideas and examples. They are not in any way recommended or preferred sites. 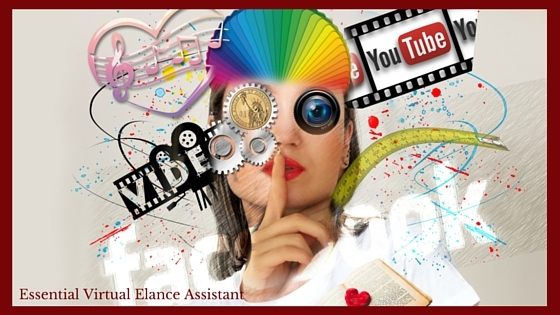 If you have any questions or wish to learn more about how a virtual assistant can help create or manage your business content please contact me. When it comes to Twitter, subscribers or “followers” are your key to building popularity, recognition and trust. For startup entrepreneurs gaining recognition and building trust is a fundamental and very important concept to grab hold of. The idea is that by following someone, they’ll agree to follow you back. It may be one of the easiest ways to build connections to other business resources or potential clients for your business. By adding a link to each of your social media profiles to your Twitter profile, and vice versa, you are making sure everyone you know is able to reach you in all the places they have accounts as well. A blog reader could recommend your social networking page, or other members of your social network could recommend your blog. Word of mouth can go a long way, especially in the world of social networking. Although you may not get every person who hears of you on your Twitter page to promote your page, you can easily raise the number with a few referrals from friends. And be sure to extend a thank you the promoter and return the favor. Banner ads can be linked to your profile. When your website banner ads are clicked on, the link is automatically established to your Twitter page. This immediate connection will prevent anyone having to search far and wide in order to find you. Use usernames and avatars which match either your business or other social networking sites. When you sign up for your Twitter account, use the same name you have on other social network sites. If this name isn’t available, try to use something as similar as possible. You can use the same avatar as well. Anyone who is familiar with you from another site will notice when you send out a tweet. If you constantly drop in silly and unproductive comments several times a day, people won’t take you seriously for long. Make sure you are adding something meaningful and of value when you post. While it’s fine to post your own URL, joining into conversations will show people you are approachable and engaged. Asking questions will show people you are not only looking for input, but you don’t consider yourself a guru either. Who knows – this may result in not only receiving an answer to your question, but with reciprocal following as well. If the link is too long, it will be shortened with tiny url. If this happens, it becomes impossible to see the source link to figure out what the page is before clicking through. Before you post any links, it’s recommended you write a short description or the title of the page. Not only will you be able to understand what they are talking about, but you may be able to bounce some ideas off them when you get stuck. Having similar concerns and experiences means they are more likely to follow you as well. 9. Post a brief bio about yourself or your business. The difference between bios and backgrounds is easy. Bios on Twitter are short and to the point, unlike an About Me page found on most blogs. People will get to know you from how and what you tweet, not from a novel written in your bio section. It’s very important to re-tweet and share valuable information from other Twitter users that would be of value to your audience. Be sure to acknowledge and thank the resource in your re-tweet. Give credit where credit is due. Don’t be discouraged! If at first you don’t succeed, try again. This is especially true for start up entrepreneurs. Even the most experienced in the internet world make mistakes sometimes. It’s part of life. If you find you have made a mistake in one of your tweets, fix it. If you find you have chosen the wrong person to follow, stop following them. Take the time to work out the kinks on your Twitter page, and you will see how quickly everything else will fall into place. Social Media networking is here to stay – Twitter, Facebook, Google+, Instagram, blogging and a host of new social media networking sites are on the rise. People want to be connected and the speed we’re moving in to stay connected is frightful at times – how can you keep up? But more importantly, are you being less productive than you could be by spending a lot of time visiting social networking sites? The first thing to note is that social media networking shouldn’t be looked at as a negative thing. It’s simply a necessary component of internet business marketing and as savvy online business owners, it’s up to us to stay connected to the latest trends and changes in this field. However, it’s also important to note that too much of a good thing may also lead to a negative outcome, such as not making the best use of our time. Set out a set time each day – say 20 or 30 minutes – that you dedicate to social networking. Try to stick to the same schedule each day. This way you get your dose of social networking without it overtaking your business or life. The schedule should be personal to you and you may find that 30 minutes is too little or too much, but whatever the schedule ensure you stick to it. Before you get started ask yourself – what would I like to achieve from this? Do I want to gain more clients or customers? Do I want to just have a little fun and connect with friends and business acquaintances? It’s important to know your goals with social networking because this will help you put the whole thing into perspective. Develop excellent profiles and keep your social media activity up to date, planned, and targeted. You never know who you’ll meet online who can help you reach your business goals. Focus your posts and interactions with the intent of being a helpful resource to the people you meet. Trying to be involved with all aspects of social networking may seem a little daunting (and time consuming). Instead, research and find one or two methods you really enjoy and that seem to work for your business needs. Monitor your results by tracking likes, followers or prospect leads per blog or post. What works best? Is it an informative post, an image or a blog? Then stick to those methods that are attracting results for a while until you’re confident you can handle more. Unless you’ve proven that social networking is a big part of your overall business strategy and success, it may make sense to prioritize your fundamental (i.e. money-making) tasks first. Once you’ve completed the activities for the day that you feel will help your business succeed, then you can move on to your social networking time. It’s all too easy to get caught up in the social networking time trap. That’s why all of the steps above work hand in hand. If you don’t know your goals with social networking, it’s easy to waste time, and you also won’t know where your priorities should be. And if you do too much too soon it’s easy to not stick to your schedule and spend too much time on social networking sites. Use the tips listed here merely as a starting point to where you as a business owner can choose to take advantage of this free social media opportunities. Remember you’re in control and you don’t need to be an expert with social media networking – unless you’d like to, of course. There are plenty of free online webinars and guides to assist you along the way. Perhaps you would prefer to outsource? 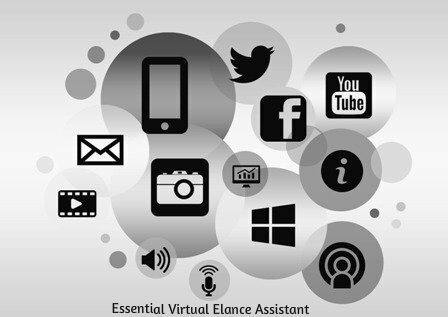 If you would like to learn more about how a virtual assistant can help with social media management feel free to contact me. As a home business entrepreneur you may not even realize that you still need to network to ensure that your business grows. You may also feel overwhelmed with the idea of face to face networking when you have a home business. But you need not worry – networking doesn’t have to be painful, and even an introvert can do it successfully. Just follow these tips. Without a goal, you’re simply dreaming and moving haphazardly toward a moving target. And, we know how that works. It doesn’t. You need goals for networking in general and specific goals for each type of networking you do, both online and offline. Set a criteria for how many people you wish to engage in conversation and connect with for each event. When people ask you what do you do, what will you say? You don’t want it to sound unnatural and like a sales pitch, which is why the term elevator speech receives so many groans today. Instead, be authentic and talk about how you serve your audience. When you put the focus on the audience, you’ll find that it passes your lips with less resistance. Develop excellent profiles and keep your social media activity up to date, planned, and targeted. You never know who you’ll meet online who can help you reach your business goals. Focus your posts and interactions with the intent of being a helpful resource to the people you meet. There are many meetup services available where you can meet all kinds of people and plan all sorts of events. Make the most of your endeavors by creating an outstanding profile and setting a goal for your participation. Who knows? You may have fun in the process. The best thing to do about networking is to start with people that you know. 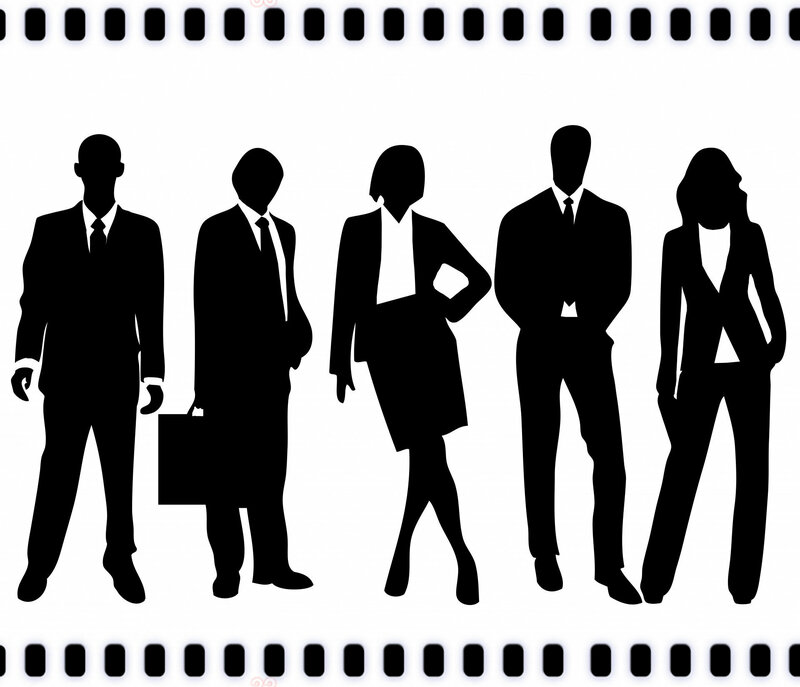 Ask them if they have colleagues and acquaintances that they can introduce you to. If you encourage people to recommend you to others, then you’ll meet more people who want what you’re offering. Don’t just stick to one or the other; both online and offline networking will work to help you get to know people, build relationships, and make more sales. It doesn’t matter today if you have a home business; people are used to it now, so no need to recoil at the idea of telling people. Your local chambers of commerce is an excellent place to start building your business relationships. If you get involved, you can create a niche for yourself by offering to lead training seminars for home-based business owners, sponsor events, and do other volunteering activities. While networking shouldn’t be your first thought when you volunteer, ensuring that you choose a group to volunteer for that consists of your target audience is fine. If you’re going to volunteer anyway, its a win win solution. Whatever your niche, there is an event that corresponds to it. Find the events that consist of your audience and attend at least one big one per year. If you can get on the speakers’ list or buy a sponsorship, that’s even better. Networking is an important part of building a business, whether you have a home business or a bricks-and-mortar business. Start with something small and then build as you go. You won’t regret it. You can be very successful with networking as a home business owner. 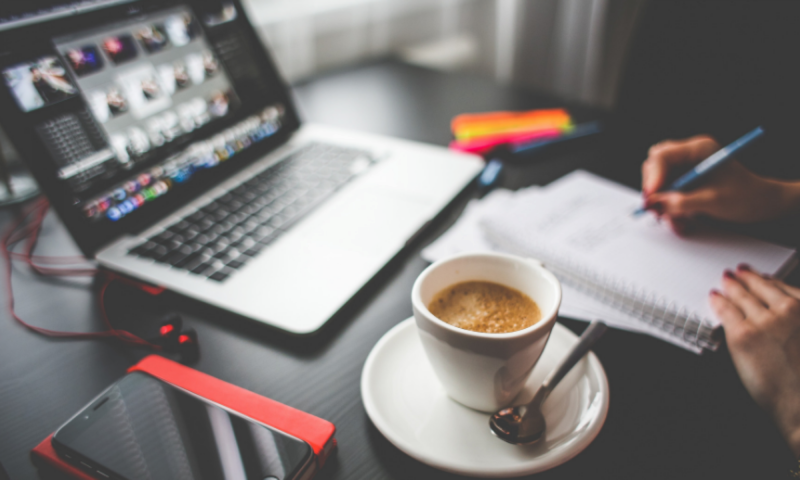 Today, most people don’t have an issue working with someone who has a home office, so you can go into any situation with confidence. The important thing is that you can do what you say you can do and follow through. Record keeping is an essential function of business success. If you don’t keep accurate records you could end up wasting money in many ways – including paying too much taxes, or paying late fees due to forgetting to pay an invoice. Not only that, if you have client files that aren’t kept accurately, you may lose their information and work will become very inefficient. Here’s what the professional accountants recommend. If you have a good system set up, the moment you get the information (whether paper or computerized) you can process it and not think about it again. Plus, if you ever need that information again, it’ll be simple to find within seconds. The best systems today save a lot of time and effort through automation. A great example of automation is online bookkeeping software that’s connected with your bank account. It makes booking entries painless and automatic. While you may think you can do it all yourself, there are some things such as finances that are often better left to professionals. Even a professional organizer might have some great ideas of how to make everything work together easily. Anything in your business that can be turned into a systematic process is then able to be ramped up and improved upon. That’s why systems and processes are so important in business, and that includes record keeping. There is no one-size-fits-all software. You have to know what you need in your business, what features you want the software to have, and whether you have the budget for what you want. Don’t choose the least expensive if it doesn’t offer everything you need and the ability to grow. Your record keeping system needs to consider the level of security you need, based on the type of records that you’re keeping. By law some things have to be secured in a special way in the cloud, and by lock and key when physical. Ensure that you know the rules and regulations for your types of files. No record keeping system is complete without a backup. This includes paper files. You must have a copy of everything in a safe place in case of a fire, computer crash or other unexpected disaster. Don’t wait until you earn more money, or have more clients, or – well, for anything. Get started from day one with your system and process so that you can perfect it as you build your business. 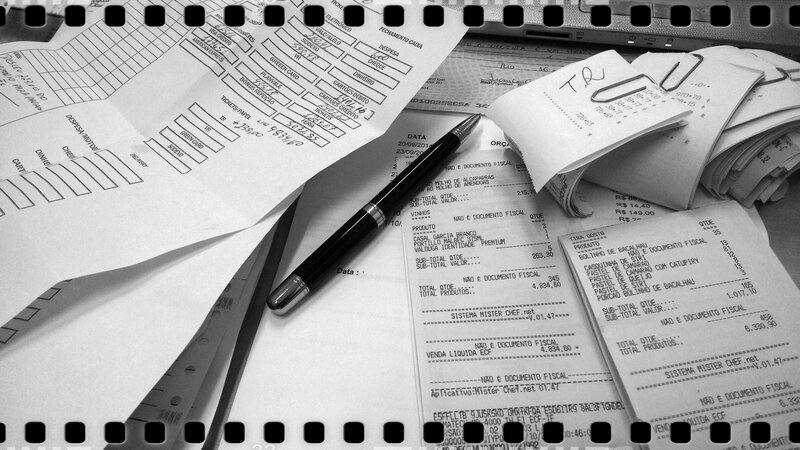 The worst thing you can do when it comes to record keeping is to simply not tackle it. You can streamline record keeping, establish a system and make it become second nature from day one. As a home business entrepreneur, you know that you need to network. You know networking will help you get to know people, build relationships, and even build your reputation as an expert if you know what you’re doing. To be successful with networking it is important to avoid these eight common mistakes. You should create a goal for general networking but also for each networking channel, be it online or offline. Before any event, write down the goal you want to achieve. For example, you want to connect with at least three new people, so that you know when you leave if you’ve been successful or not. Many people think that because they have a home based business, they need to exaggerate and make themselves look bigger and better than they are. But the truth is, you simply need to be your authentic self because it is you that makes your business and offerings special. Practice mindful listening. Repeat back to others what you heard, mirror their thoughts, and ask appropriate questions. They’ll actually remember you more when you show genuine interest. While you do want to get to know your competitors, you will make more sales by networking with the people who need what you offer. Commiserating with colleagues is useful, but it won’t increase your client base. Going to events can be intimidating, but it’s important to push your boundaries if you want to grow your business. You can start slow with online events, and then move gradually into offline events. Don’t go to an event and stand in a corner all alone. Mingle and get to know people. A good method to help you accomplish this is to volunteer to be a greeter at the event. Handing out name tags, programs or helping out at registration requires you to speak to people directly. At any in-person event, you want to make your exit before the last minute. Being the last one at an event can be a sign of desperation. Instead, leave people wanting more. When you speak to people, project your voice, smile and show some likable energy about you. You want people to feel good when you talk to them. Common networking mistakes that home business owners make can be avoided with just a little bit of knowledge and planning. You can be very successful with networking as a home business owner. Today, most people don’t have an issue working with someone who has a home office, so you can go into any situation with confidence. The important thing is that you can do what you say you can do and follow through. Thank you for visiting my blog. Enter your email address to follow this blog and receive notifications of new posts by email.